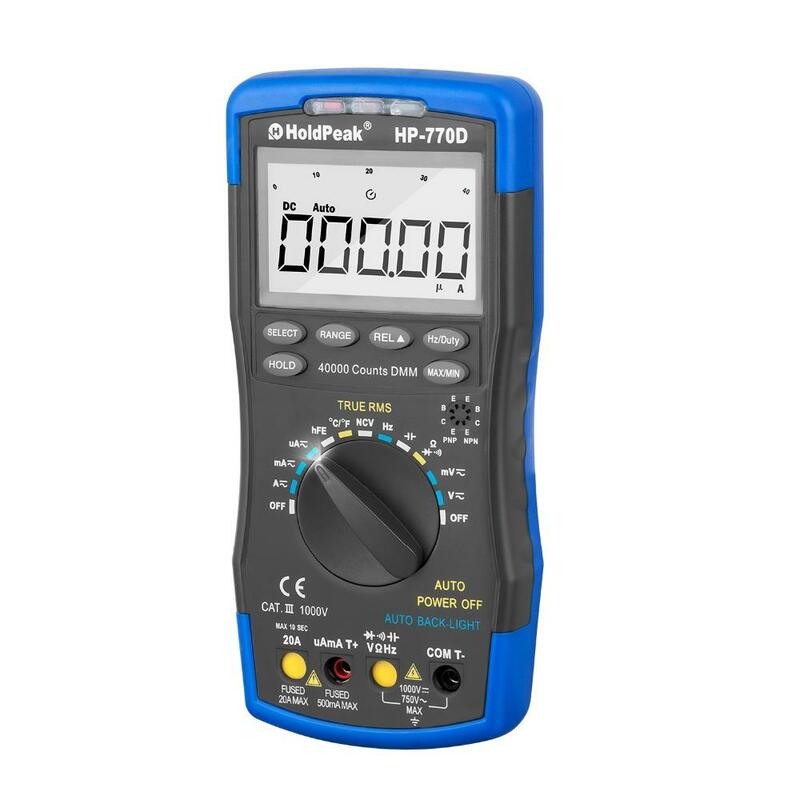 ●HP-770D is high-accuracy auto range digital multimeter, characterized at slim size, portable, stable performance and anti-dropping capacity. ●Using 40000 counts digit & analogue bar graph LCD monitor with character 16.5mm high, they offer clear readings. ●With overall circuitry design centering on large-scale IC A/D converters in conjunction and over-load protection circuit,mechanical blocking system the meters give excellent performance and exquisite making as a handy utility instrument. ●HP-770D can be used to measure DC & AC voltage, DC & AC current, resistance, capacitor, frequency, duty cycle, temperature, transistor hFE, Non Contact AC Voltage (NCV) detection, positive diode voltage fall and audible continuity. ●HP-770D has a small measurement error value and accurate measurement values, which has been well received by customers. 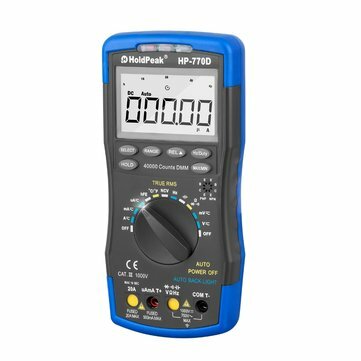 2018, High precision Multimeter HP-770D withstand the test of the market, has been selling in the multimeter, it is a good choice.